1. Try the official website of the Eurovision Song Contest. It has all the news and on the event days there will be live streams as well. 2. If this is not working, you can try Eurovisionworld. It has a great calendar of all events, linked with live streams, sometimes with multiple options. @Voleron: There is a canadian singer this year, 'Katerine Duska' from Greece. And another canadian singer has even won the contest: Céline Dion in the year 1988 for Switzerland with the song 'Ne partez pas sans moi'. Amazing post and it sounds like a great event! I mean, I have very little knowledge of Eurovision, but I hope to be there! Eurovision is an amazing thing - the coming together of nations not unlike the birth of the federation! But with gay frivolity! And songs! Can't wait to see everyone there at the event but also see you on 5th for the kdf warm up! You can down load it and add all the events to your calendar to give you a reminder! The Eurovision Song Contest is the ultimate #1 entertainment show event on the planet earth. Every year since 1956 a growing number of countries choose one song to represent their country in an opulent state-of-the-art worldwide broadcasted television show. An international audience and professional juries from each participating country then select their winner in the famously long and thrilling voting procedure. The ESC reaches about double the audience as the superbowl, it is watched and enjoyed all over the world as the Eurovision Europe happily includes even Australia. The ESC makes people come together in the spirit of Love, Peace, Peace, Love and tricks in a hamsterwheel. There are fireworks, wind machines, costume changes and wild dances that are building the bridges between the individuality of the songs and the uniting of different people to celebrate diversity. That is the spirit we share in Star Trek as well as in the community that builds Stonewall, so we decided to bring the three together in a modern fairytale under the same sky. 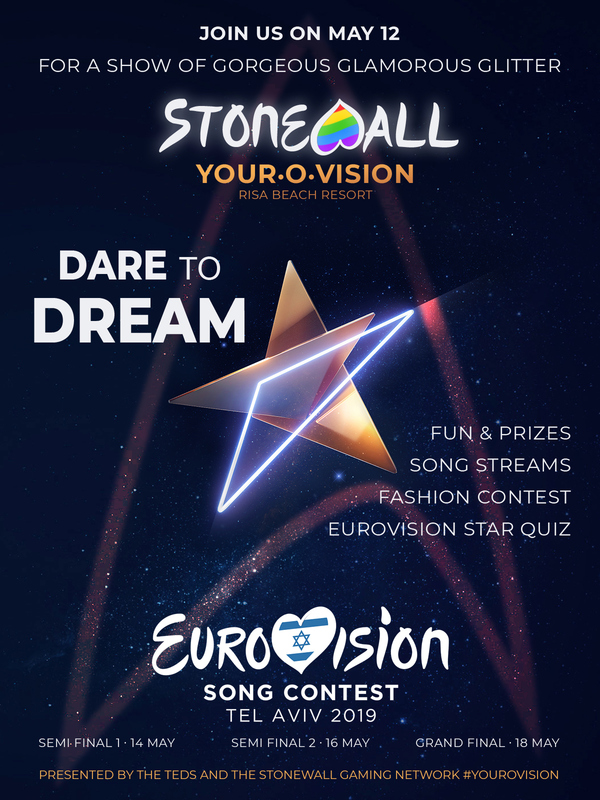 Join us on May 12th for a get-together in the spirit of Eurovision! We rendezvous on Risa and then there will be party for everybody, a fun quiz and a fashion contest. Amazing prizes from Stonewall Credits to ships and costume boxes will be available! So light your fire because we are one. Feel your heart beat, share the moment and dare to dream: #yourovision19. As part of the monthly House of Nagh 'reD May'Qep Event we will celebrate 'Kling-O-Vision', the glorious Klingon Opera Contest! Be sure to prepare a battlehymn, boasting about your greatest victory, your strenght and your honour! Let your words align in rhyme to tell about your greatest time! Qapla'! Get-together and party for everybody on Risa. A fun, mostly mulitple choice, in-game chat quiz. Show off your costume designs in three categories! We will conquer the Dyson Ground Battlezone or do personal ground endeavors in our amazing Yourovision-costumes. We will say congratulations to all our winners and finish the night with some more party for everybody! Dance! Win EC for guessing the correct Eurovision results! There are so many facts and useless knowledge around the ESC, it's almost like Star Trek Canon! First we have the rules, for example no animals are allowed on stage. And all artists have to be at least 16 years old. And, ehem, theoretically, songs with a political message are not allowed to enter the contest at all. Then we have the stars, the eurovision royalties - gorgeous icons and divas like Dana International, Ruslana, Johnny Logan and Goran Bregovic and so many more. Not to mention the growing number of participating countries and all the cities that had the honour to host a show, from Lisbon to Helsinki, from Dublin to Moscow. All participants will recieve a mystery item. Stonewall Credits are redeemable at the Stonewall Credit Store for in-game and out of game prizes. Many acts decide to go for a sporty look in bright colours, usually combined with rather modern choreographies. Show us your toon in a casual, modern and colorful look. Even swimsuits are allowed. The song contest stage is also often filled by people in elegant suits and classy gala robes. Throw on your finest and impress with a sophisticated evening attire in a glamorous look! Why just go with only one costume? Give us your very own version of the (in)famous on-stage costume change! Each person can participate in each three categories. Remember that in Eurovision, costumes often get enhanced to work well with the wind machine (featuring long hairstyles or capes) and sometimes they are designed to fit a certain choreography. You are more than welcome to include such thoughts in your design and your presentation to the audience.Also, feel free to enhance your performance with other emotes or special effects. As in the real Eurovision show, there are no pets allowed. Please note the procedure to detemine the winners is inspired by the original EBU voting system: all participants in one category are members of the jury for this category. You have 8, 10 and 12 points to distribute for your 3rd, 2nd and 1st place. You are not allowed to vote for yourself. 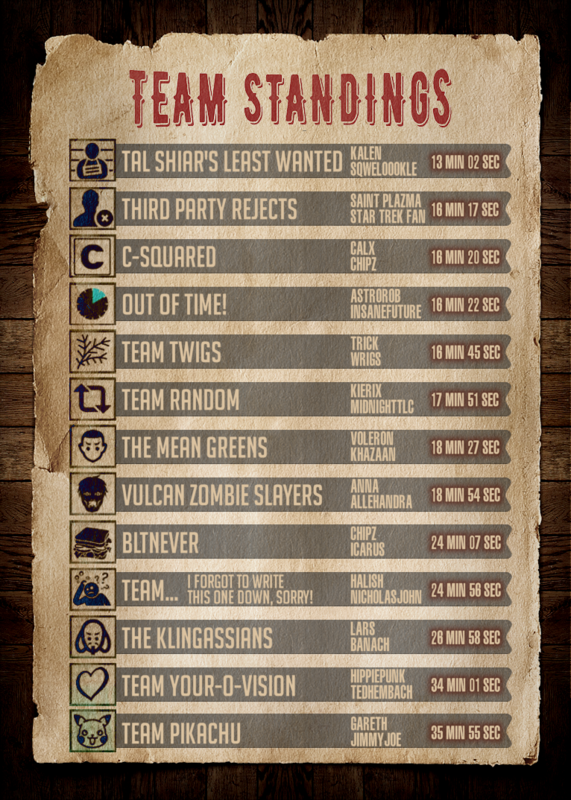 The voting points will be collected and then summarized together. Should there be ties within the results of the audience, a jury of neutral event-hosts (the Teds) will decide. All participants will recieve a costume item. Take your chance to win up to 100 million EC in this years Heavy Betting Game! Make bets on the results of the Grand Final of the Eurovision Song Contest. Who will win? Who will get the least points? Which place will a certain country make? Also predict the qualification results from the Semifinals to get a bonus. FYI, this isn't appearing on the webcal. Which webcal do you mean? There is no official SGN webcal. We occasionally used to add events to the calender in Steam, but that is bugged now and doesn't allow us to add anything anymore. Thank you so much for letting us have a haunting one more time! And your talents continue to grow! Congrats winners! Outstanding event again Voleron, the time and energy that must of went into it, from the foundry creation of the map and text... to the atmosphere music and voice overs was truly amazing... inc the gallery of us all. All of us had great fun! Thank you JulianTraul and Voleron! Indeed! All of the Gamma Quadrant arc now suddenly feels a little pallid compared to Voleron's grand finale. Thank you for putting together this last hurrah (and for reminding me my team mate was dead, though I couldn't tell given the state he was already in when he first showed up). Luckily for me, death didn't get in the way of him being able to read a map and use a tricorder and get us through the horrors. A HUGE thank you to all of the 13 teams and 26 Stonewallers who came out to support my Halloween Haunted House event before the sun-setting of the Foundry. I really hope that you all enjoyed yourselves. If you're a relative late-comer to the Foundry and enjoyed what you played, I'd encourage you to play some of the other amazing Stonewall authored foundry missions, some of which are listed in our Foundry Folder (you'll need to login to the site to view it). Congratulations to the top three teams on their placements, some of whom just inched out other teams by a few, meager seconds! 1st Place: Kalen & Sqweloookle will receive 10x Master Keys! 2nd Place: Saintplazma & Star Trek Fan will receive 5x Master Keys! 3rd Place: Calx & Chipz will receive 3x Master Keys! All remaining teams will receive a Zombie Survival Kit themed prize pack! Check your in-game mail over the days to come for your prizes. Be sure not to accidentally delete your email, otherwise the attached prizes will be lost. QaleghneS, honourable warriors of Nagh'reD! This Sunday it is time for the Monthly May'Qep Event again! This time we will brave the fears of our forebears and save our Dominion allies from the Hurq'! We will gather on Deep Space Nine, in the station commander's office up in Ops. Once we have gathered there, we will inform you of the battleplan. Just prepare to fight the Hurq'! Yeah, that was fun! The scary kind of fun... I didn't know that Vulcans could be possessed (that word is scary too - so many ssss). Thank you Voleron and Thrall for doing this! And the voicing is great - you really expanded the foundry. Hehe.